Customer Picture Number 15 Selected. Cool Car decals applied. 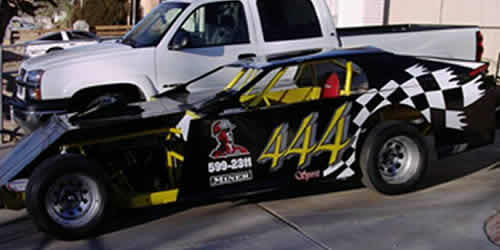 A completed picture of one of the race cars we did graphics for. Thanks to Jim. This picture is the best before the racing began the next day.